When choosing to recover a pre-engineered metal building roof, it is important to select the correct roofing recover system. A single-ply membrane roofing system might seem like an easy, inexpensive recover option in the short term but this type of roof on a metal building increases the risk of catastrophic roofing failure. Using a single-ply membrane roof recover on pre-engineered metal buildings is such a risky choice that Charlie Smith and Terence E. Wolfe, PE wrote an article about this topic for RCI Publications titled, Why You Should Think Twice About Putting a Single-Ply Roof on a Metal Building. The article explains exactly how and why this type of roof recover is a bad idea. The main reason for not using a single-ply membrane on a pre-engineered metal building is that they aren’t designed for that type of roof. Buildings need to be designed to have a single-ply membrane roof so that water flows properly across the entire roof and pre-engineered metal buildings aren’t designed that way. 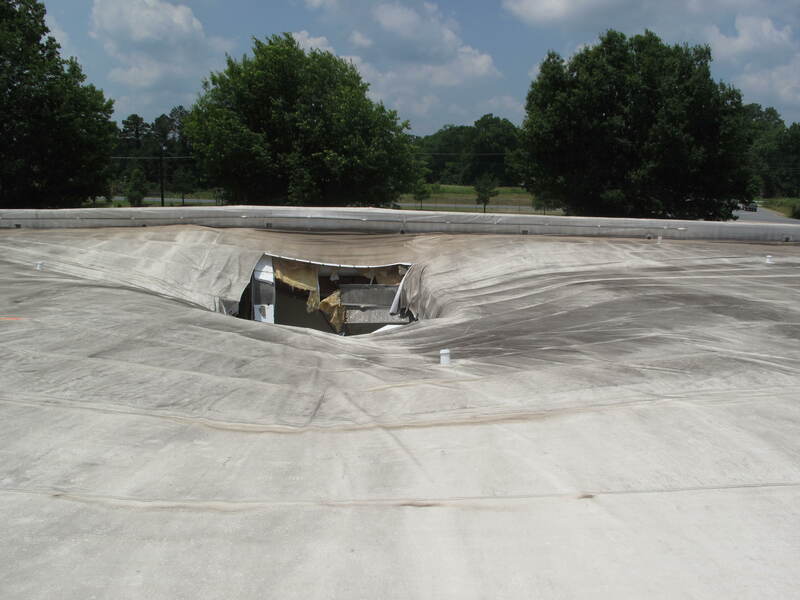 Using a single-ply membrane roof to recover a metal building changes the water flow, and the results can be catastrophic. For areas with high wind, scenario three, “a sudden surge of water laterally from one bay across into another,” can cause significant concern. And, scenario four, “a clogged scupper or drainpipe,” can cause catastrophic failure very quickly. If you want to learn more about the dangers of recovering a metal roof on a metal building with a single-ply membrane you can read Smith and Wolfe’s entire article here.